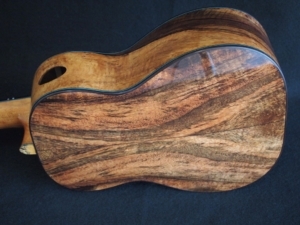 Delivered the week before last is Carol’s Honu Tenor Ukulele. 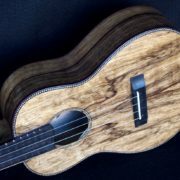 Carol really took a liking to this set of chocolate mango wood. 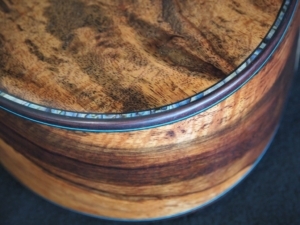 As with some of the other instruments from the same billet of wood, this set shows a little bit of everything–color, marble and curl. Paua abalone purfling, blue/black accent colors, spalted tamarind accent woods, ziricote finger board and bridge, a bevel cut-a-way and a custom headstock Honu by inlay artist Larry Robinson complete the build. 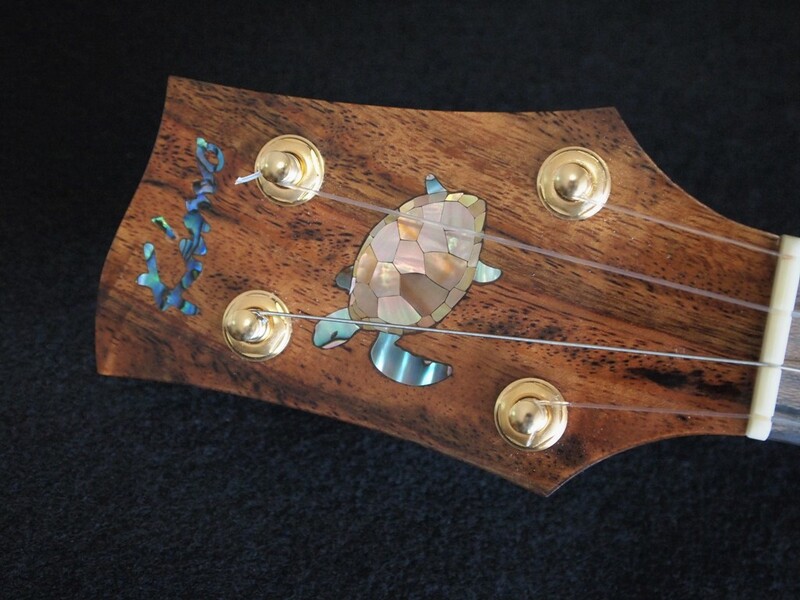 In lieu of a radiused finger board, I made the neck just a little narrower than normal and added an additional Honu to the tongue. 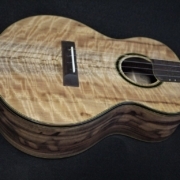 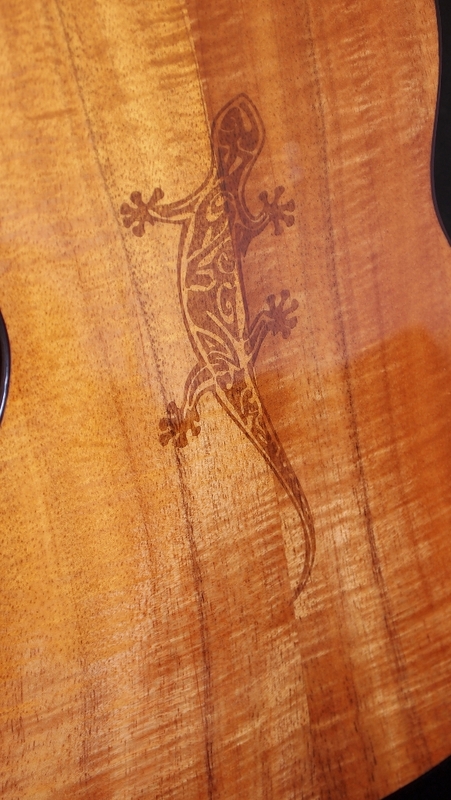 This ukulele has GHS flourocarbon strings (high “G”) with a Thomastik steel wound “C”. 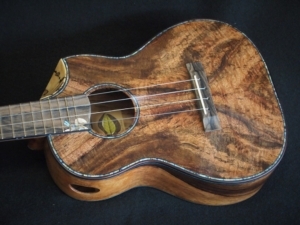 Carol’s Honu Tenor Ukulele plays easily and is just as warm and comfortable as the waters of Maui.